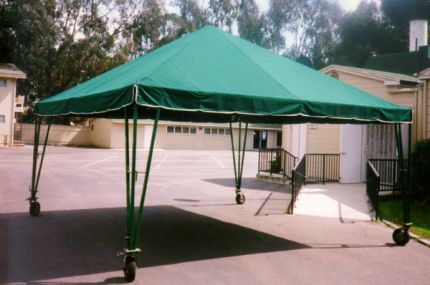 All our tents with steel and aluminum frames are powder coated. What is powder coated? It is a process that bonds specialized paint to a metal surface by baking it at very high temperatures. This creates a more durable finish which improves resistance to corrosion and rust. The Hepburn Superior Portable Chapel, manufactured by Hepburn Superior, was designed and engineered for maximum durability and years of maintenance free use. 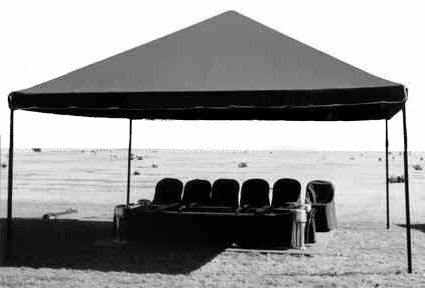 With this hard top chapel you can move from one interment to another without the hassles of dismantling. Shipped to you are all the necessary components and hardware for a trouble free assembly. The entire procedure can be done in approximately eight hours by only two men. FIBERGLASS TOP: Off-white industrial strength fiberglass with light diffusing quality. 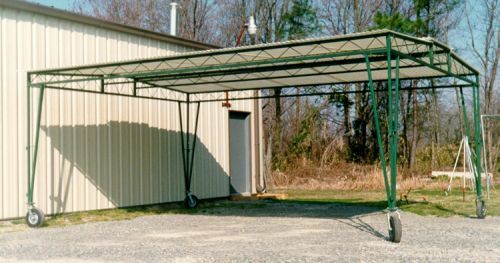 Allows 58% of the light through and 2.2% of the sun's heat. STEEL FRAME: Reinforced legs with triangular steel plate for added strength and stability. TOP MATERIAL: Water-repellent heavy duty acrylic tent canvas ( sunbrella), solution dyed to give excellent fade and weather resistance. CONSTRUCTION: Reinforced leather corners, top and sides. FRAME: Square steel tubing reinforced legs. *Powder Coated. 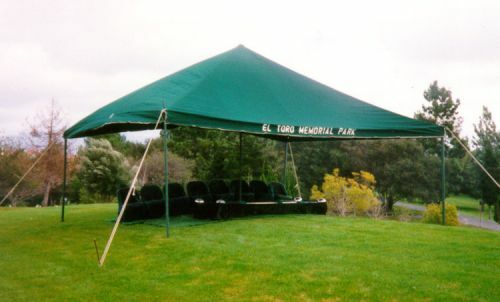 Long lasting and convenient, this tent comes complete with full swivel head pneumatic tire casters for ease of movement across even the roughest cemetery grounds. Telescoping Center Pole. -No Charge for Name on One Side of Tent - Tent Bag. corners, top and sides. Reinforced webbing sewn into hip of the tent to relieve stress from guy lines. FRAME: Center telescoping pole. Four 7' wood poles. Steel stakes. Guy lines. Free Tent Bag, No Charge For Name On One Side of Tent. TOP MATERIAL: Water repellent heavy duty acrylic tent canvas (sunbrella), solution dyed for excellent fade and weather resistance. FRAMES: Steel or Aluminum - *Powder Coated, telescoping legs for any ground grade. Hepburn Superior Inc. introduces The Infant Burial Tent with aluminum frame. Available in a wide range of colors. Custom colors available at an extra charge. FRAMES: All frames are *Powder Coated, telescoping legs for any ground grade; footplates for stability.